Every year as the traditional Tet Festival draws near, residents of Ho Chi Minh City eagerly await the festive activities and most of all the beautifully decorated Nguyen Hue Street that is each year bedecked with a multitude of fresh flowers and alongside it the Book Street Festival. This year, the Book Festival will open to the public from February 7 to 14 along Mac Thi Buoi, Nguyen Hue and Ngo Duc Ke Streets. 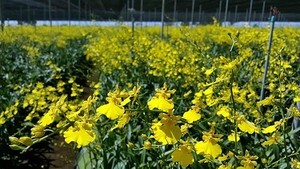 Hundreds of people are expected to flock to the Flower and Book Streets this year. The theme of the Book Festival this year is ‘Books and 54 Regions’ and there will be special sections featuring photos and documents on culture and the language of 54 ethnic groups living in the country as well as Vietnam’s historical sea and islands. There will also be sections for children books as well. As planned, the total spending budget in this year’s festival will be around VND3.4 billion. About 50 percent of this expense will come from the state budget and the remaining will come from social contributions. This year’s theme is Vietnam’s heart, with the image of a heart displayed with the monument of Uncle Ho between flower-pillars, representing the 54 regions of the country, all plaited together. This year’s mascot is a pair of snakes wrapped round each other symbolizing a ‘Loving Spring’. 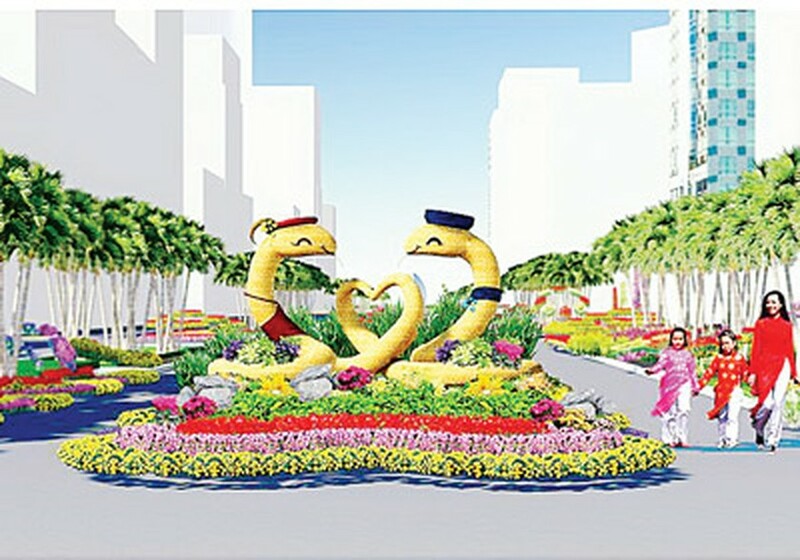 Artisan Minh Phuong said this year the opening day of Flower Street will coincide with Valentine’s Day so the street will be decorated with this theme in mind.